An hour and a half north of Nashville, the highway gives way to winding country roads and gorgeous rolling farmland. Traffic becomes a distant memory, and cows seem to outnumber houses. 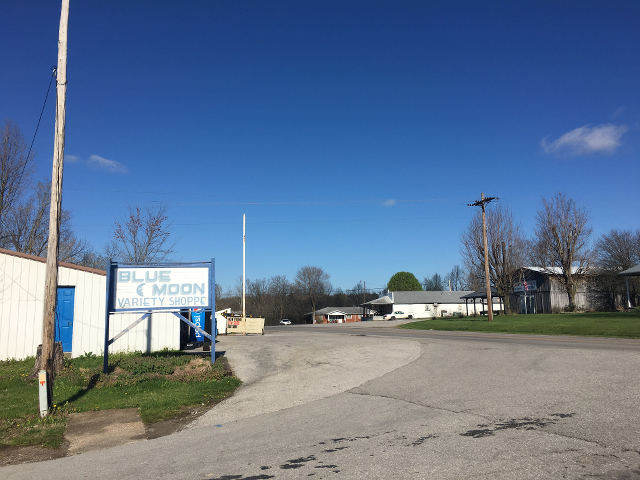 Just twenty more minutes of driving past grain silos, whitewashed chapels, and fields carpeted in butter-yellow daffodils, one arrives in Rosine, KY, home to 113 people, not counting Bill Monroe (1911-96), who lives here as the Father of Bluegrass. 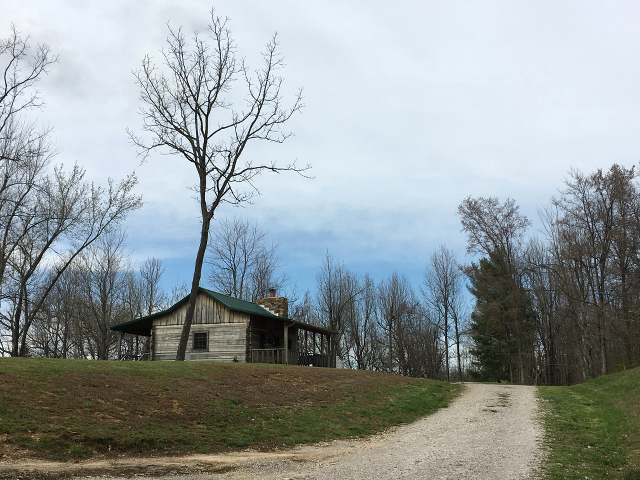 A few miles up the road and across the train tracks, we pulled up to Bill Monroe’s childhood home, fondly mythologized in many of his iconic songs. 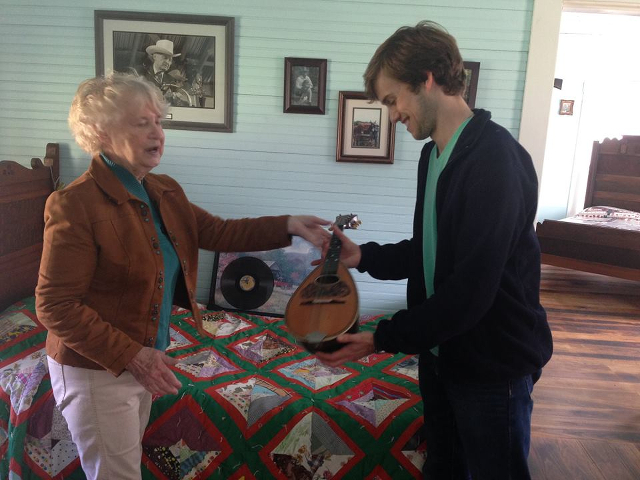 The youngest of eight siblings, he learned how to play mandolin from his mother, who often played and sang during breaks between cooking and washing. He also savored the sounds of his uncle, Pendleton “Pen” Vandiver, fiddling on a distant hill as evenings darkened and he was cloaked in the rasping of crickets the sifting of wind through the pines. Sadly, both of Bill’s parents died by the time he was sixteen, and he went to live with his beloved Uncle Pen in this hilltop cabin. After playing local dances with his brothers Birch and Charlie in the 1930s, and achieving some radio and recording success as the leader of the Monroe Brothers, Bill assembled his Blue Grass Boys in the 1940s, which included the high lead vocals of guitarist Lester Flatt, the frenetic banjo-picking of Earl Scruggs, and, of course, his own innovative mandolin style. 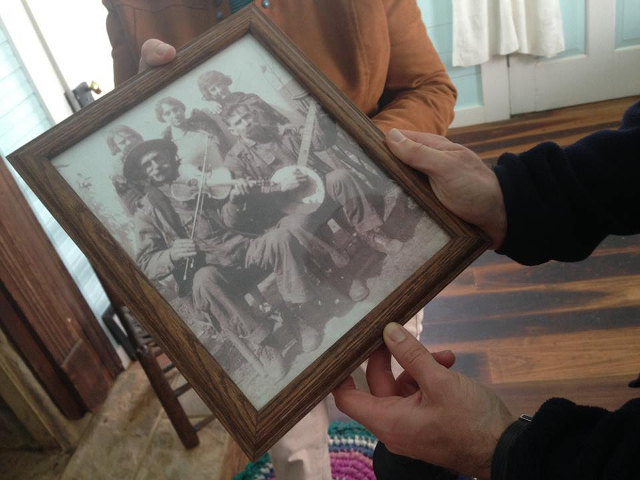 This is the moment many scholars say “bluegrass” was born, though the term would not be coined for decades. Now, Bill Monroe and his Blue Grass Boys enjoy an almost mythic status and are considered among enthusiasts to have single-handedly established the mandolin as a lead instrument, as well as ushered into existence a new musical genre and community, one that extends around the world, and points those international bluegrass pilgrims back to this speck in rural Kentucky. The charm of this town is rooted in its communal love of bluegrass that still permeates the place today. 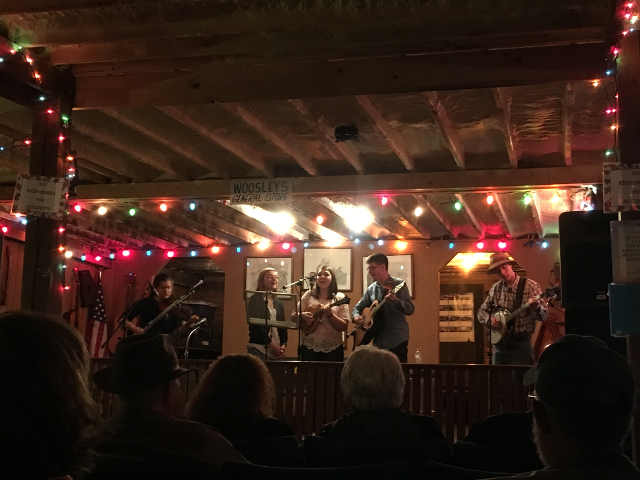 Every Friday, the Rosine Barn Jamboree continues to celebrate Monroe’s legacy with a night of music, dancing, and storytelling on the very stage where Bill Monroe played one of his last shows in 1995 (His last show was played on March 15, 1996, at the Friday Night Opry in Nashville.) This gathering even prompted the New York Times to list Rosine, KY as one of the top 52 places in the world to go in 2016! After several classic bluegrass and gospel tunes, someone came to where we sat and welcomed my friend to join them onstage. After all, none of the musicians were paid–they all felt amply compensated by a shared love of the music. Elated, Sage accepted, adding her fiddle and voice to the mix. Later on, Restless River Band—a group of college students from southwestern Kentucky—took the stage, inviting her to join their jam on fiddle too. The tight harmonies, jangling banjo, and piercing fiddle closed out the night with a sweet breath of energy. 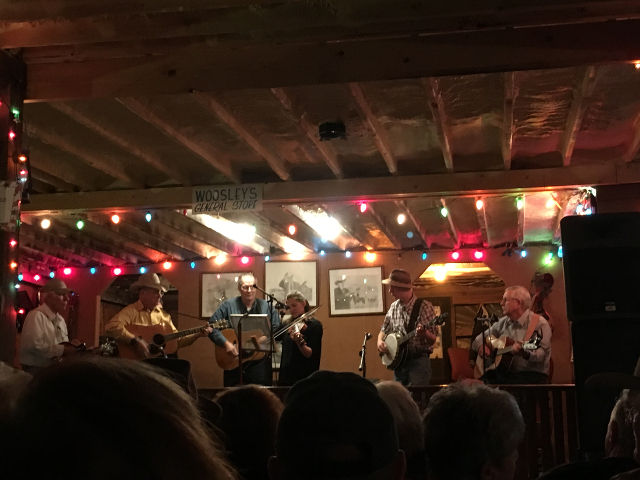 I only recently discovered bluegrass, yet by the end of the night I felt equally as included in its lineage as the locals who had perhaps witnessed Bill’s first performance with his Blue Grass Boys. 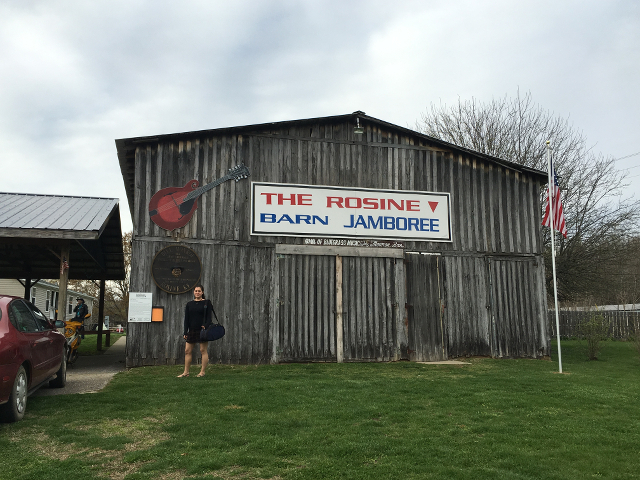 After only half a day in Rosine, we both felt joyfully full of the living history and lore of one of our country’s most distinct musical forms and cultures. One of the most endearing aspects of the town was its decided lack of kitsch and unctuousness. The Variety Shoppe didn’t claim to be anything more than its name implied. 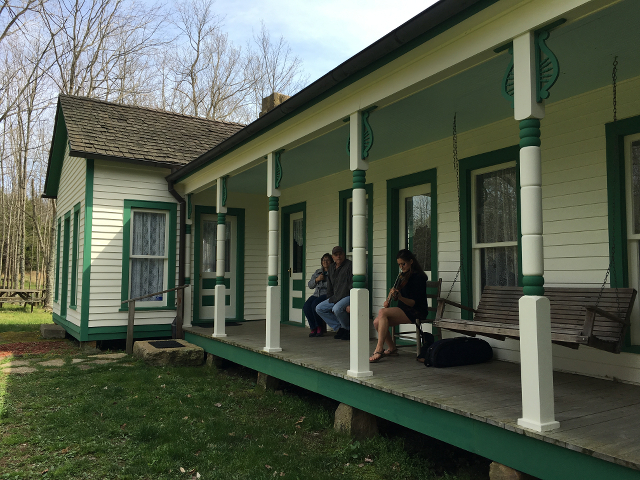 Bill Monroe’s early home wasn’t a flashy museum, simply a memorial to a beloved musician. The jamboree wasn’t a production for tourists; it was the gathering place of a community, one woven together with music and time, as passionate and tight-knit as any person could hope for. Originally from Texas, Ben spent a year traveling around South America and road-tripping across the USA, looking for writing inspiration wherever he went. 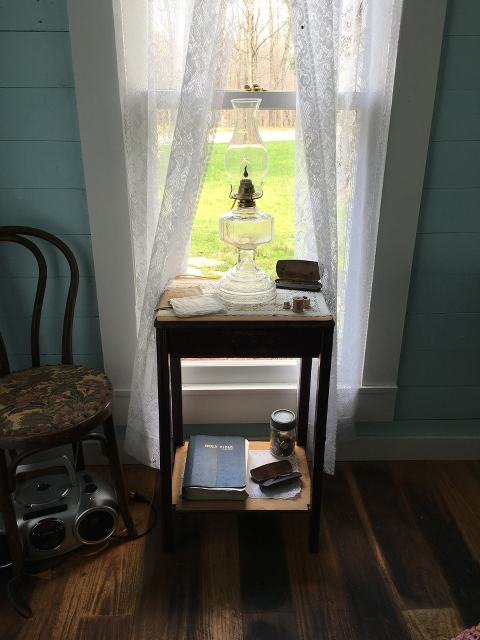 He is now living in Nashville, and few things make him happier than playing the piano on a stormy afternoon or stumbling across a nearly perfect poem.